Join two running legends for an evening of fun, fine dining and a fantastic auction! World-record-beating Paula Radcliffe and gold medal winner Steve Cram join us at the latest event from Forget Me Not Children’s Hospice. 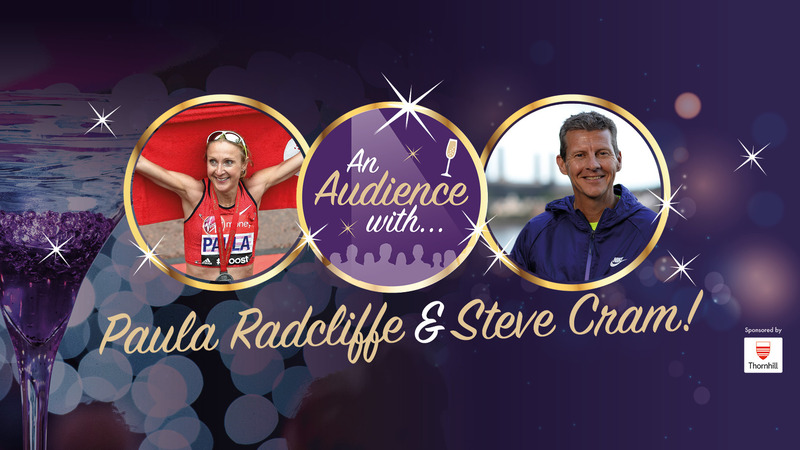 Both Paula and Steve will share some of their inspirational sporting stories and there’ll be a Q&A too so you can ask them anything – about running, competing, winning, not winning, life after competition – anything! Not only that, but the evening is hosted by popular Yorkshire comedian Pete Emmett. All this while you enjoy a very fine three course meal in the impressive setting of The John Smith’s Stadium. Plus there’s the opportunity to bid for some amazing lots in the exciting charity auctions – both silent and live! Tickets for this exclusive event are limited so hit the ground running and book your place now! Championship tickets are £550 for a table of 10 or £55 per person. Or upgrade to Premiership tickets which include priority seating, VIP drinks reception and the chance to meet our sporting stars in person. Premiership tickets are £800 for a table of 10 or £80 per person.